The Welsh Rugby Union is planning a shake-up of the league structure following criticism of the decision to bar northern teams from promotion. 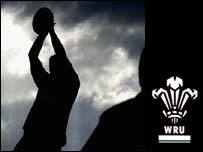 The WRU had planned a new amateur competition, where a northern regional side plays regions from the south. But it is now considering creating two leagues exclusively for clubs in north Wales for the 2006/7 season. The winners of a new Division One North would enter a four-way play-off to enter the Welsh Premiership. As part of the structure the current Division One would be split into Division One East and Division One West. The winners of those leagues, plus the Division One North champions and the bottom team in the Premiership would enter an end-of-season play-off for a Premiership space. The Premiership itself is currently undergoing a slimming-down process, being cut from 16 to 12 teams over the next two seasons. A WRU ruling last week meant clubs from the north would not be able to rise higher than Division Four North from next year. That would also have seen the forced relegation of the only two northern teams currently playing outside their area: Ruthin, who are in Division 3 South East, and Llangefni in Division 3 South West. But under the new proposal, 18 clubs plus four district teams would comprise Division One North and Division Two North. The proposed restructure follows a series of "soundings" taken by the WRU. WRU chairman David Pickering said: "We're looking at the situation, I feel for both Llangefni and Ruthin. "We've had deliberations with our representatives from north Wales for some time. "We've put an amateur team up in north Wales going forward to give a pathway of opportunity for the players. "It was our perception until recently that was an acceptable pathway forward. "But we've been made aware by the north Wales district clubs, and also members of the Welsh Assembly, that they would prefer an opportunity for club rugby to flourish." The new plans will be discussed at a union board meeting at the end of August.